Canasta is a card game played by two people, each trying to beat the other with a higher number of parts in their hand. This is done by melding cards. 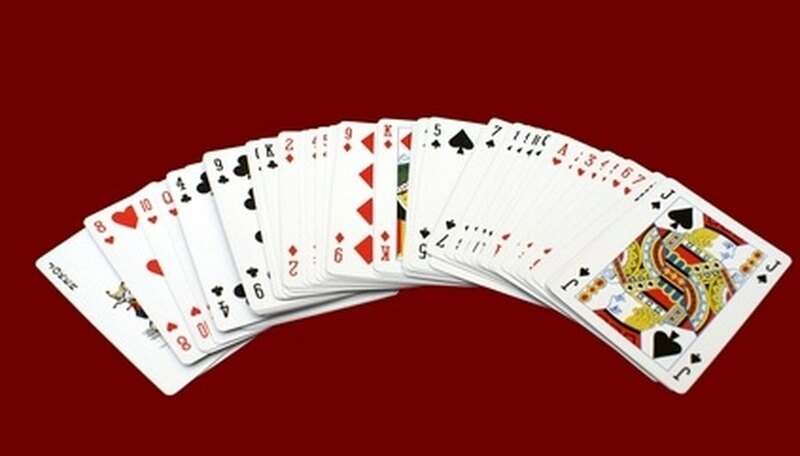 A canasta is a meld of at least seven cards of the same rank. Canasta is similar to Rummy in play but does have differences. Shuffle and deal out 15 cards to both players. The top card of the stock pile is turned over to be the first card of the discard pile. If the card is a red three or wild card, the procedure is continued until neither of these conditions applies. Deal the hand for each each round. Both players must then check their hand for a red three. If either have one or both, the threes are immediately melded and new cards are dealt to replace the missing cards. Black threes are not melded except with three or more of the same color. Play back and forth taking cards from the stock to make a meld. You can not take cards from the discard pile unless you can meld the top card. However to meld for the first time your cards must be of a certain value. This is as follows: if your score is less than 0, you must have a minimum of 15 points; 0 to 1495, 50 points; 1500 to 2995, 90 points; and 3000 or more, 120 points. Going out requires you have one to two canastas on the table. The number needed is decided at the beginning of the game. You do not need to discard to go out if you can meld all the cards in your hand. The round is also over if the stock pile is depleted. Score your hand for the round as follows: four, five, six, seven, black three have a value of 5; eight, nine, ten, jack, queen, king, are 10; two, ace, are 20; joker is 50; and red threes a value of 100. Bonuses are also given for mixed canastas (300 points), natural canastas (500 points), the player who goes out first (100 points), and a player with all four red threes goes from 400 points to 800. If the player who goes out did not have anything on the table before going out, the bonus goes to 200 points. You don't have to discard to go out if you meld all your cards. A meld is three cards of the same value set down together. This can be three kings or four threes. To win Canasta, you must reach 5,000 points. Wilds are jokers and twos. The discard pile can be frozen with a red three or wild card, and until another card is placed on top of it, both players must draw from the stock pile. You can not meld a two-three-four sequences. Once you meld a card, it can not be taken back into your hand. A meld must have more natural than wild cards. Play online against the computer to learn.